Philadelphia Police have arrested two men after a badly decomposed body was discovered in Pennypack Park in Northeast Philadelphia earlier this week. Eric Koltz and Harley Mason were arrested on Saturday, 5/26. Koltz in charged with murder, PIC, tampering with evidence, obstruction of justice and abuse of corpse. Mason is charged with tampering with evidence, obstruction of justice and abuse of corpse. The body was discovered on Wednesday evening, 5/23, near the Welsh Road and Roland Avenue entrance. The medical examiner still has to rule on cause of death. The victim's identity has not been released. Police did not elaborate on the suspect's connection to the victim. 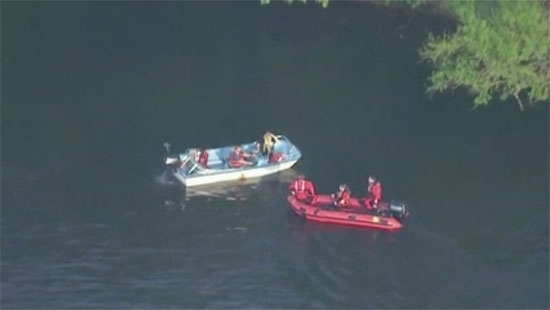 Two bodies were discovered in the Delaware River on Saturday in separate incidents. The first body was spotted by a passing boater near Beverly Township, Camden County, around noon. New Jersey State Police believe it be a 21-year-old man who went missing on Monday, 5/21, after falling into the water. The man was with 4 others in a boat when a wake overturned the vessel knocking everyone overboard. The other four were rescured. The Burlington County Medical Examiner's Office is making an official identification. The second body was discovered in the river on the 1000 block of South Christopher Columbus Boulevard near Reed Street. The 34-year-old body of a man showed no signs of trauma. The medical examiner will perform an autopsy. This Memorial Day Weekend marks the 40th anniversary of casino gambling in Atlantic City. Resorts International Casino Hotel opened at 10 a.m. May 26, 1978. The cards have been dealing and lights flashing ever since. Casinos were a big boom for the shore town for a while, but have been on a long slow decline. A variety of factors are to blame but one of the biggest is competition. For a long time Atlantic City was the only other destination outside of Nevada where gambling was legal, but now casinos are popping up everywhere. Philadelphia has three (Parx, Valley Forge, SugarHouse) and one of the way (Live!). Plus others a short distance north and south. Atlantic City may see an up swing. Two new casinos are set to open this summer (Hard Rock and Ocean Resort) with focus on entertainment, amenities, families, and other non-gaming interests. Resorts has stood the test of time and will be celebrating 40 years all summer.